If you give them your heart, they will take your money. Nathan Cummings was devastated when his wife decided she wanted a divorce. He began to resign himself to his new life, alone, when he decided to take a chance on online dating. But the nice, new woman he met and spent long hours with on the phone, wasn’t who she seemed at all. 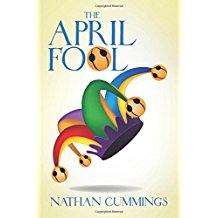 In “The April Fool,” author Nathan Cummings shares a story of a man, lured into a relationship by a fictitious woman whose real intentions are for money, based on his own real-life experiences with a fraud artist. In his book, Cummings offers readers an insider’s look into the world of online scamming and shares tips for verifying identities, tactics “catfishers” use to lure in their marks, and methods for protection against fraud. Nathan Cummings graduated with a teaching degree in 1968 and finished the accounting course necessary for the CPA exam in Florida in 1976. He was a middle school teacher and coach for twelve years. He worked for a CPA firm and moved to Atlanta, Ga. After holding several prestigious accounting positions, he built his own practice. This book is based on Nathan Cummings’ real experiences with a scam artist. Cummings is also the author of “The Man before the April Fool” and “Unfinished Foolishness,” the other books that make up the trilogy of Cummings’ adventures with catfishing. Cummings has been on “The Geraldo Rivera Show” and featured in numerous magazines and newspapers. To learn more about the author and his book, visit https://www.xlibris.com/Bookstore/BookDetail.aspx?BookId=SKU-001150131.